Ovink served on President Obama’s Hurricane Sandy Rebuilding Task Force and developed and led “Rebuild by Design” contest. Rebuild by Design was named in CNN’s 2013 top 10 of the most innovative ideas and was awarded the first-ever “Most Groundbreaking Federal Challenge or Prize Competition” by the US Federal Government. He has served as Director General for Planning and Water Affairs and Director for National Spatial Planning for the Dutch Government. 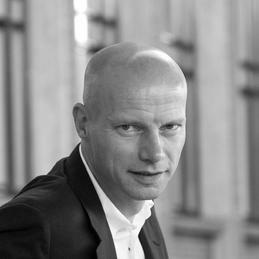 Henk Ovink is currently the Special Envoy for International Water Affairs for the Kingdom of The Netherlands. As the Ambassador for Water, he is responsible for advocating water awareness around the world, focusing on building institutional capacity and building coalitions to address the world's biggest water challenges.